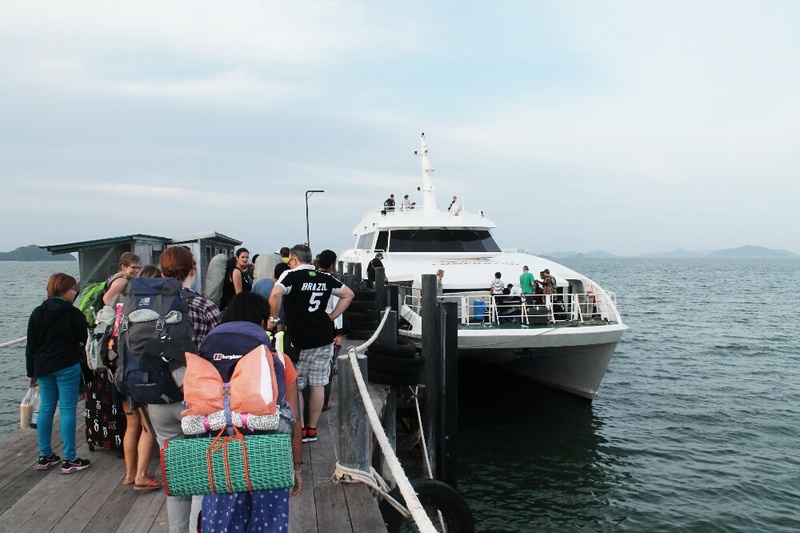 After a very long and uncomfortable train journey from Hua Hin, we stayed one night in Chumphon before catching a ferry at 6am to the small island of Koh Tao. Trains are a great, cheap way of travelling in Thailand (we paid £1 each for a 4 hour journey) but they are notoriously late, so be careful if you have a tight transfer. Trains also but are a great way to see some of the countryside. 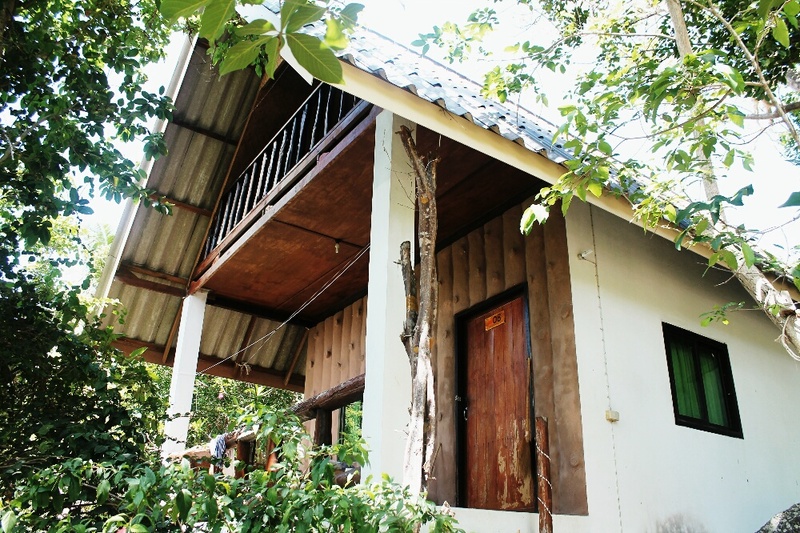 We stayed at Farang’s Bar in Chumphon. The rooms there are really basic with shared bathrooms…but they are cheap. The owner is an English expat named Ivor, who you will more than likely see sat at the bar. He’s lived in Thailand for sometime and was good to chat to for recommendation’s. 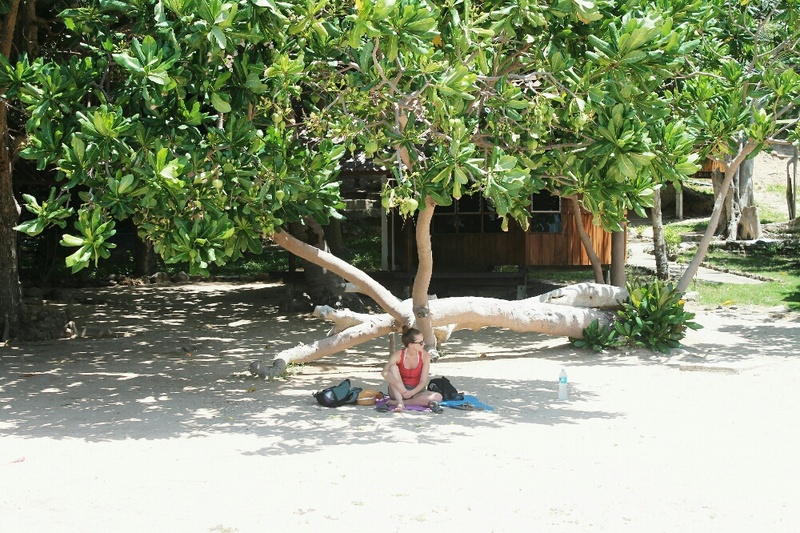 He lived in Koh Tao for a few years so it was a lucky find. 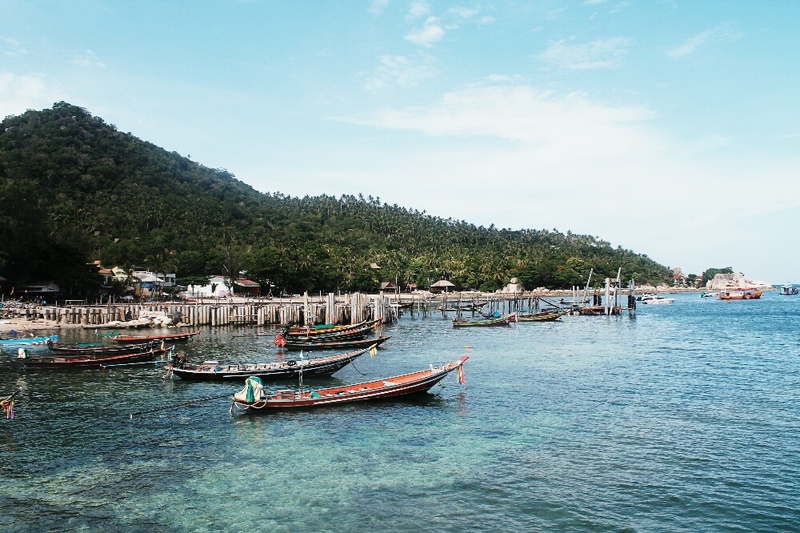 Koh Tao is a really small island (approx 4km wide) with some beautiful beaches and coastal lines. 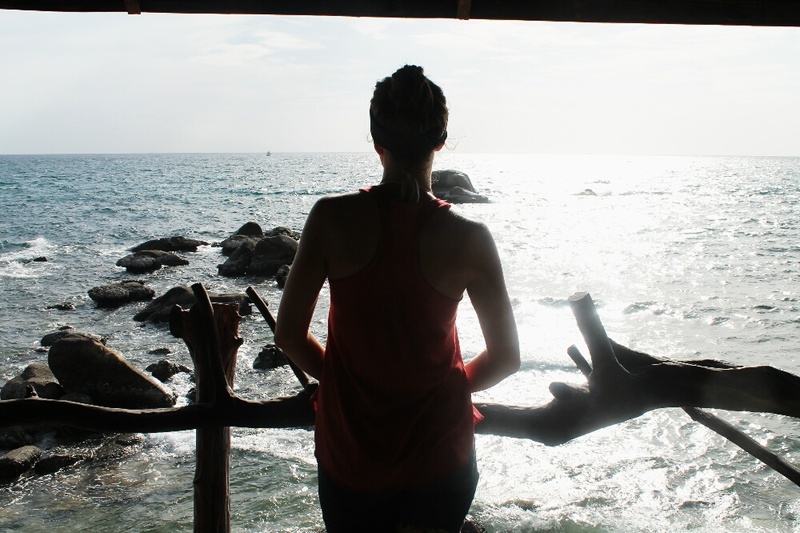 Our first stop was over at Tanote bay, where we rented a beach hut on a secluded, tucked away beach. The hut was on offer from £16 down to £9 per night. Bonus! It can be hard deciding which beach to stay on. There are loads of things written in guidebooks and on the internet. Going in low season makes it a bit easier because 9 times out of 10 you can just show up and get a place to stay, at reduced rates. 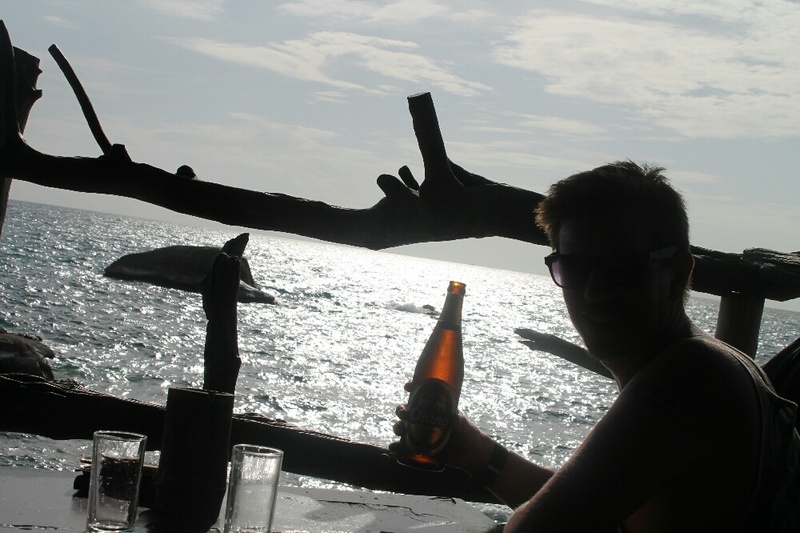 In our secluded paradise, we were literally ‘hanging’ out on hammocks while drinking beers was a great way to chill out after the long travel to get to Koh Tao. The crystal clear (and very warm) waters where you could see fish swimming about and colourful corals, coupled with the white sandy beaches made it an ideal getaway destination. Our secluded location was a strength and a weakness. We were kind of stuck in the middle of nowhere, rooted at the bottom of a long and very steep hill, with limited options of food and WiFi was as remote as the beach. After a few nights here we decided to head to a busier area of the island. Again we rented a little bungalow (£9 a night) but we had access to lots of restaurants and bars. 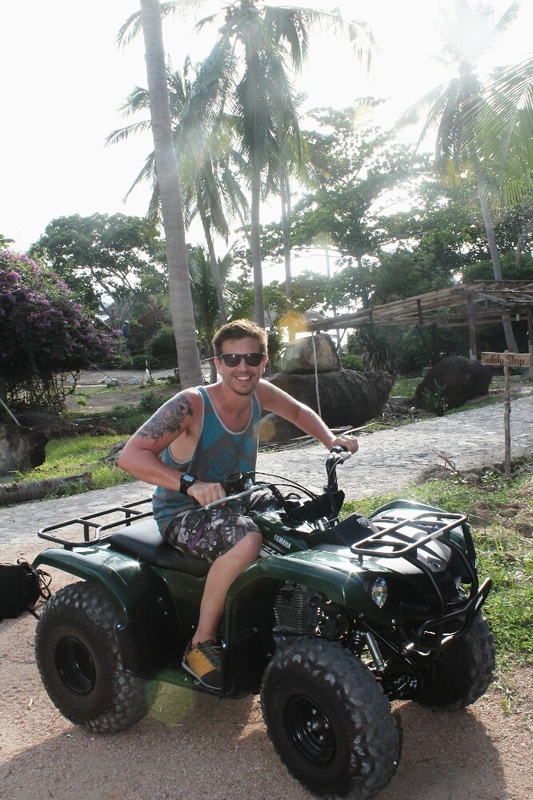 There are three modes of land transport in Koh Tao, mopeds, 4×4 trucks and quad bikes. We hired out a quad bike for about £15 for 24hrs. It was so much fun and a great way to scare the sh*t out of Katie er i mean explore the island. Be careful though, we heard of places who will try and take money off you for fictitious damage. Be sure to take lots of photos of the vehicle before you go and that the owner is watching. No stone left unturned here as you can save yourself loads of money. With our quad we visited a few bays, some even more remote that Tanote Bay. We were so glad we hired out a quad over a moped because the roads soon turned into dirt tracks…steep ones at that. The last stop on the quad, we found an awesome bar called Banana Rock Bar. We sat there and shared a beer while the sun was setting. The bar man wasn’t overly friendly or helpful and was cutting his split ends, but we helped ourselves to a beer and handed him the money and enjoyed the amazing views as the sun started to set. On the hunt for some food we walked past a quirky little place selling burritos which were surprisingly good. 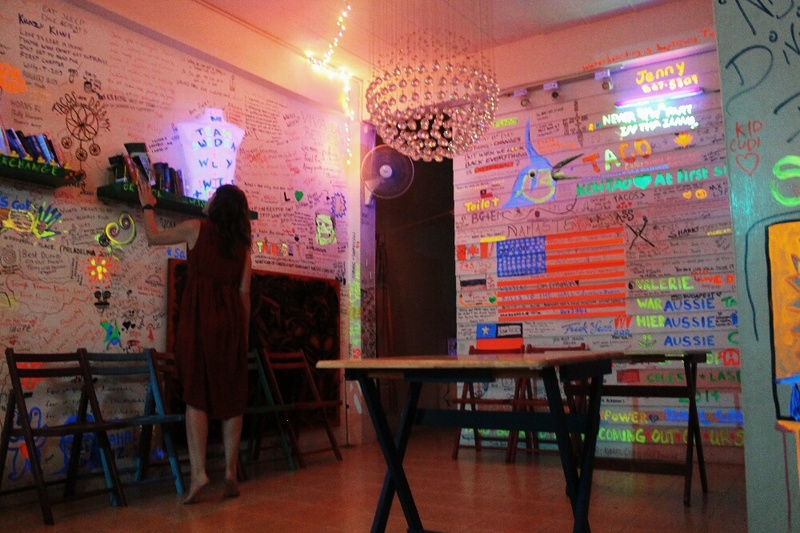 The bar was located under a hotel dorm and decked out with traveller’s scrawls in luminous ink and cushions on the floor (prime for a decimal man sticker). What we didn’t realise, was we stumbled into a beer pong championship! Team MussMart were in (although that team name wasn’t sexual enough!). Apparently beer pong is a major past time for American college students, I have never played it before but soon got the hang of it. Basically each team make a triangle of cups fill them with beer and the idea is to throw a ping pong ball into the opponents cups. If successful the opposing team must ‘down’ that beer. Anyway a strong start from us -knocking out the first team we played (they were pretty serious). Round two we encountered an American guy called Max who was like the Michael Jordon of beer pong, and wiped us out, he later explained how much he practised at college (god knows what Katie did at college, probably studied or something). It was a lot of fun, later we watched some of the world cup. The next day we chilled on the beach, sleeping off some of the beer from the night before and had an early night as tomorrow we are catching another ferry to bigger island called Koh Samui. 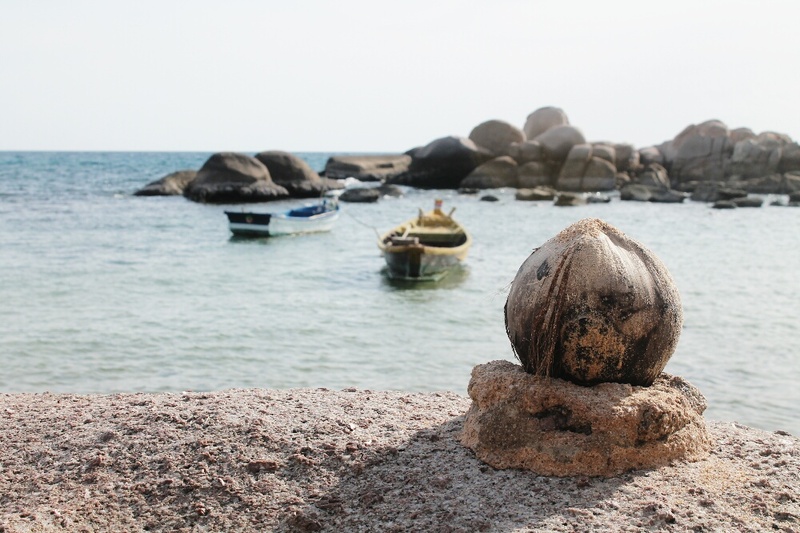 We would definitely reccomend Koh Tao, there is enough to do there, from chilling on stunning secluded beaches and exploring the island to partying all night long. Posted on June 30, 2014 July 1, 2014 by themussmarter	This entry was posted in Decimal man travels the world, Thailand, Where are we now? 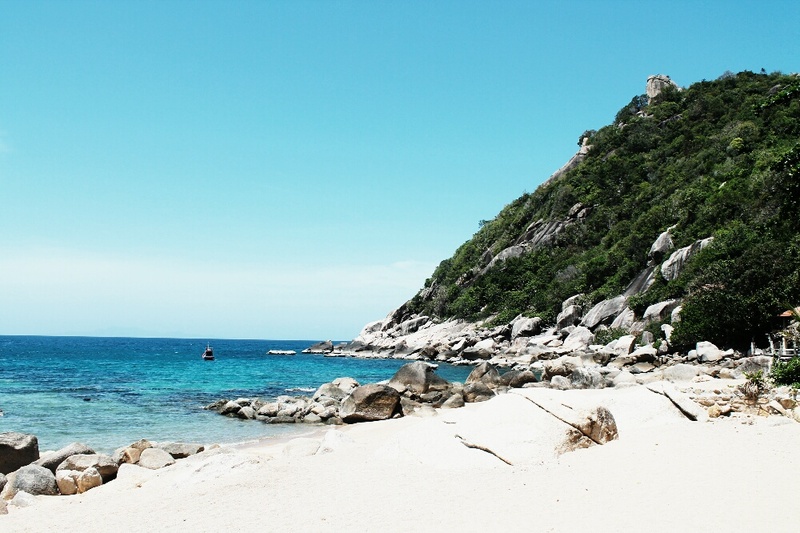 and tagged beaches, Koh Tao, Thailand, travelling. Bookmark the permalink.